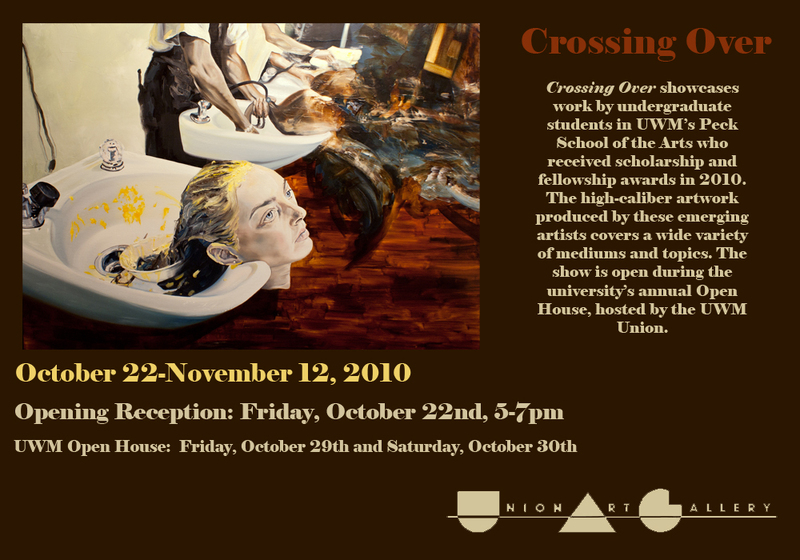 UWM Union Art Gallery – Crossing Over opens Tonight! Crossing Over showcases work by undergraduate students in UWM’s Peck School of the Arts who received scholarship and fellowship awards in 2010. The high-caliber artwork produced by these emerging artists covers a wide variety of mediums and topics. The show is open during the university’s annual Open House, hosted by the UWM Union.